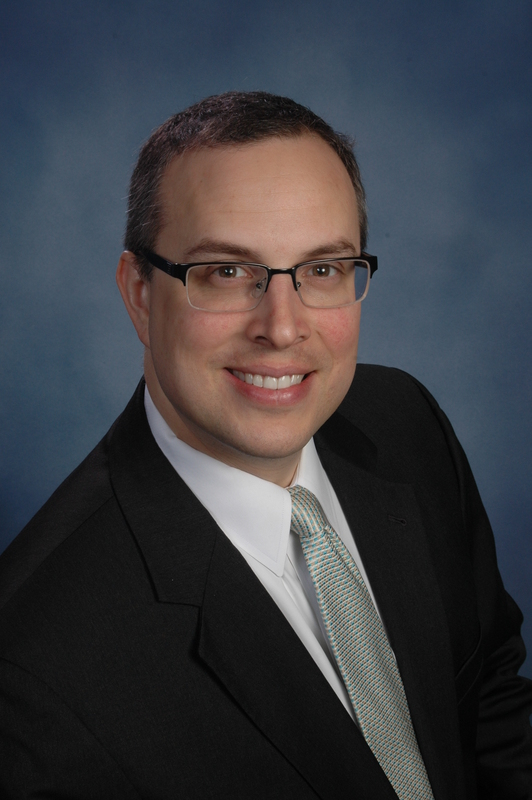 TIFFIN, OHIO – August 24, 2015 – The Seneca Industrial and Economic Development Corp. (SIEDC) announced today that its President & CEO David Zak is resigning from the public-private partnership effective September 11, 2015 to join Tiffin University as its new Vice President for University Advancement and Economic Development (UAED). Zak will start in his new role on September 14, and the search for a new leader for SIEDC will begin within the next week or two. Zak was quick to praise his team, the board, and members of his organization for the community’s recent economic resurgence. “I feel my biggest contribution was to help develop one of the strongest economic, downtown, and community development teams in the country. Karen, Amy, Katie, and Bryce are amazing individuals, and I will truly miss working with them on a daily basis. Add to that an incredibly committed board of trustees, committees, and volunteers, and it’s no wonder so much has gotten done. Zak intends to represent Tiffin University and be active on SIEDC’s and other local boards engaged in economic development, ensure the transition is smooth, and promises to work as part of SIEDC’s board to recruit the best economic development talent out there to take his place. “Tiffin University and I will also strengthen our support for SIEDC, and I will do everything in my power to ensure the momentum continues,” Zak added. Zak will be heading up Tiffin University’s Office of University Advancement and Economic Development (UAED), which expands the development office to include not only the traditional functions of institutional advancement, public relations, alumni relations, government relations, and marketing with leadership in local, regional and national economic development. One new area for the university will be the creation of national centers of excellence in technology and entrepreneurship that will help spur research, company formation, capital attraction, and job creation. Webster expanded the plant and got more headlines soon thereafter, and not much has changed since. The October 18, 2014 headlines in the Advertiser-Tribune read, “Webster expanding, adding local jobs.” Since Webster’s announcement of their $8+ million expansion plans, we thought it would be appropriate to provide a little backstory on this great company. Their marketing tagline is “American materials, American labor and American pride.” Since 1876, Webster Industries has offered a wide range of products and expertise throughout many different markets. Founded by Towner K. Webster, Webster Industries initially opened in Chicago, Illinois in 1876, bringing to market his Common Sense Elevator Bucket. Webster Industries moved its headquarters to Tiffin, Ohio in 1907, where it still resides today. I find it very interesting that economic development was in full swing even back then. In the book, An Odd Couple, Charles Eisendrath sheds some light on the incentives offered at the time: Webster received an “offer of a free, 30-acre building site” from the “Tiffin Commercial Club,” the precursor to the Seneca Regional Chamber, which was founded in 1914 and led economic development until the creation of the Seneca Industrial and Economic Development Corp. (SIEDC) in 1983. Since its beginning making and marketing the elevator bucket, Webster Industries has evolved its product offerings since opening its doors, becoming one of the world’s leading manufacturers of engineered class chains, commercial castings, and vibrating conveyors. 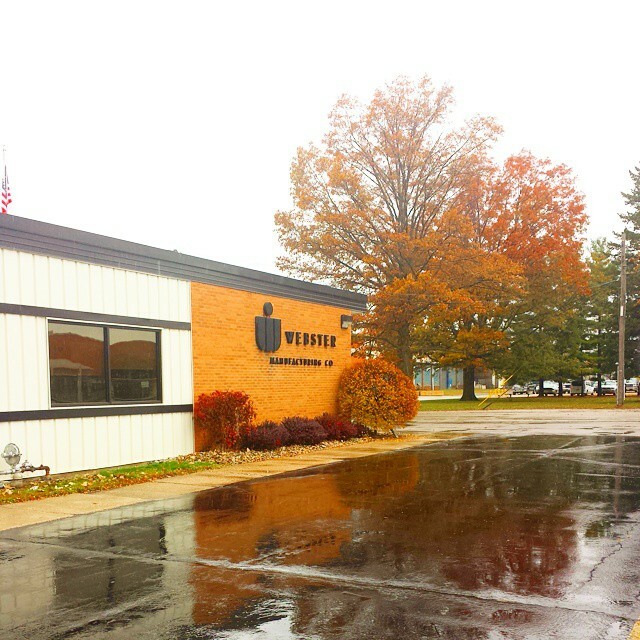 Webster Industries’ Tiffin headquarters consists of over 300,000 square feet of manufacturing space. Webster Industries has also helped to Site Selection Magazine rank Tiffin and Seneca County in the top 10 for large, private economic development projects. Webster Industries provided support for the ranking by providing 76 new jobs to the local area and investment plans of $3,000,000. The most recent expansion is in addition to that, which demonstrates how fast the company is growing. To give the public a chance to see how their products are actually used, the company sponsored an “Our Chain in Action” contest over the summer. The contest gave Webster customers “a chance to let loose their inner Steven Spielberg” by creating a video that highlighted the many features of Webster’s conveyor and steel chain products. The contest ran from mid-July to mid-August. The top videos can be found on the Webster Industries website and the manufacturer’s YouTube channel. One example of a use is Cedar Point’s Blue Streak roller coaster. The amusement park’s oldest coaster, uses a Webster chain to lift riders up a 78 foot hill, before descending 72 feet and reaching speeds of 40 miles per hour (see video below). 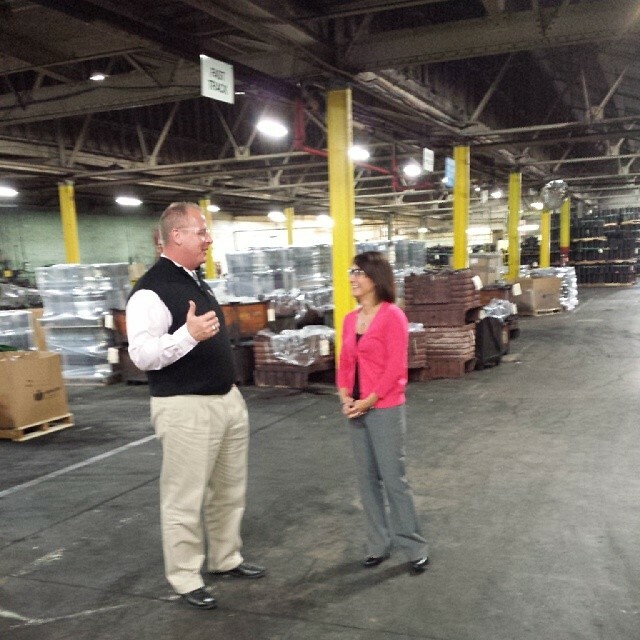 Webster President & CEO Andrew Felter talking about the project with JobsOhio representative Lisa Wagner from Regional Growth Partnership. TIFFIN, OHIO – October 17, 2014 – Webster Industries announces today its intention to select Tiffin as its location for its next three-year, $8.3 million expansion. Tiffin beat out Meridian, Mississippi – where Webster has another manufacturing location – and northern Alabama, who has been recruiting the company for months. The decision is contingent upon the finalization of state and local incentives. The project is expected to create 65 new jobs and retain all 294 existing employees at their Tiffin headquarters. A new 38,000 square foot expansion will be constructed onto their existing facility, the headquarters will be renovated, and an additional $4.5 million investment into new machinery and equipment will be made. The project is motivated by new global business opportunities, expected increases in targeted markets, new product offerings, and continued improvement in service through vertical integration. Tiffin City Council will first be reviewing applications for the 50 percent, ten-year Enterprise Zone tax exemption and a 50 percent, five-year Municipal Income Tax Credit on Monday, October 20. The project is also expected to receive a JobsOhio Economic Development Grant and go before the Ohio Tax Credit Authority at the end of the month for a potential Ohio Job Creation Tax Credit. From their beginning in 1876 in Chicago, Illinois, Webster has grown into a premier leader in industrial conveyor chain and vibrating conveyors, used in a wide variety of industries including forest products, food, automotive, cement, grain, asphalt, recycling, and steel industries. The company employs more than 300 nationally at its Tiffin, Ohio (Established 1907), Meridian, Mississippi; and Portland, Oregon locations. Learn more at www.websterchain.com. JobsOhio is the private economic development marketing and sales arm of the State of Ohio, developing and implementing the state’s economic development strategy and crafting incentive and support packages to spur economic development in key targeted industries. In 2013 alone, JobsOhio reported projects involving 18,000 new jobs and $3.6 billion in capital investment. Learn more at www.jobsohio.com. Based in Toledo, Ohio, the Regional Growth Partnership (RGP) is private, nonprofit corporation designed to drive job creation and new capital investment in northwest Ohio through business attraction, retention and expansion efforts. The RGP also serves as the JobsOhio Northwest network partner, serving as the JobsOhio point of contact and customer service for state incentives for an 18-county region. Learn more at www.rgp.org.